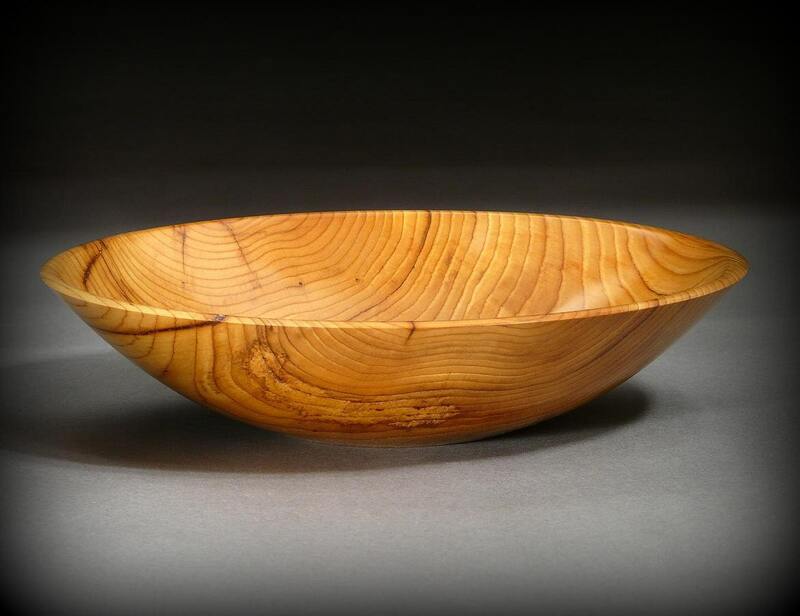 Throughout history, there have been many and varied uses for Yew wood. It was traditionally used to make archery longbows. The oldest known wooden implement, at about 50,000 years, is an English spear made of Yew. And Yew bowls were not uncommon. Most people today know Yew as a shrub they plant around their homes. But, left to its own ways, it grows to become a small tree. The wood features a warm orange-brown colored heartwood, and a cream-colored sapwood. This bowl has that glowing heartwood color. Measuring 10 inches in diameter, 2-1/2 inches in height, it's finished in a soft, smooth, semi-gloss lustre. Item # BW283, Yew Wood Bowl.